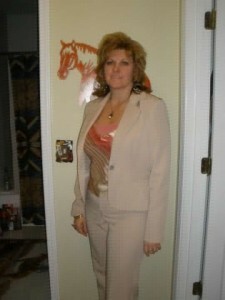 Permanent Weight Loss Coaching Success! Trish LOST 42 pounds! The third time was the charm! 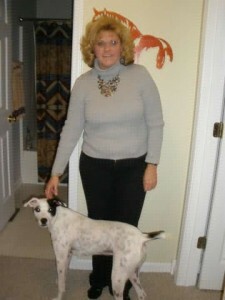 Pat Overcoming Self-Sabotage and Emotional Eating Testimonial Minus 20 pounds with a thyroid condition! Donald Overcoming Self-Sabotage and Emotional Eating Testimonial Minus 40 pounds and counting! Kim Overcoming Self-Sabotage and Emotional Eating Testimonial Minus a full size and very happy! I had not heard of EFT before, but felt like I had tried almost everything else to lose the weight I had been trying to lose for years and that included many gym memberships, books, magazines, exercise tapes, pills powders and potions. I didn’t really diet, I knew diets didn’t work. I was looking for a lifestyle change that I could stick with. Something that didn’t require me to eat food I was repulsed by or didn’t even know how to prepare. I knew there had to be more to it than “eat less and workout more”. I was eating when I wasn’t hungry, craving carbohydrate foods or foods full of sugar and I knew that there was a reason for it. Honestly I didn’t want to spend another dime on anything with the word weight loss in it. I have to understand something and believe in it before it will work for me, I won’t just do it because someone says it will work, and I wasn’t sure about this EFT stuff. I went to a brief introduction on EFT at the library and was amazed at its concept and how easily it could be learned and adapted. I have never met Ellie before, am new to Kingston and didn’t want to get suckered into something I thought to be expensive. I was not working and couldn’t justify spending that much money on what I thought would be another gimmick. Let me assure you, it’s no gimmick and worth every penny. I am a reader and am always looking for answers to my life’s questions in what I read. Something that resonates with me and puts a missing piece in my puzzle. Sometimes I read a book and don’t get much out of it, but will read it again in a few months or a year and totally “get it” because I was ready to receive that message. I think thats what EFT was for me. I was ready to receive its messages. This is a class as with any class you get homework, not the kind that is graded or has to be handed in but homework that will get you further in your healing. You must do your homework if you want to succeed. Some diets may work but it’s based on deprivation, you lose, you gain ,you lose then stop losing and you’re on to the next ” in” diet. EFT is something you can stick with throughout and always gives the results based on the work put in. No deprivation, just more clarity and understanding. As with most diets, someone disputes why and if they work. There’s no disputing EFT. It’s a secondary result with life changing outlooks being the first. If you are doing something you like such as reading, gardening, and it makes you feel good, the only time you stop is if you have to. It’s not like work to you. You don’t have to force yourself to do it. As you get results with EFT, it feels like good. So if you find yourself stopping- you need to find the reason why it went from being fun to being work ( and there are reasons). People are in your life for a Reason a season or life time-This one I had been struggling for years, why children are abused, why people die early in life???? I was able to understand and move through areas that had me stuck. And they will never have me stuck again. Instead of being upset at who I should have been had these tragedies not happened to me, I am able to look at where I am now and the great people I’ve met and opportunities I’ve had because they did. That was an inspiring eye opener. Negative feelings are like a wound and like anything that needs healing, you have to clean out the infection to make it better or it will fester and poison you. I really “got” this analogy. What took me the longest to understand or finally “ get” was what to say while tapping. I was worried I didn’t know what to say, but you just say what’s on your mind, or ask questions, or use the information that is provided. It hits all the right spots. I found I was so obsessed with wanting to do it” right”, say the “right” thing. The good thing is-“right” has a lot of leeway and you need to relax. I’m not sure I can really express the kind of person I have known you to be in the short time I’ve had the pleasure of meeting you. But here goes. You are the kind of person I wish I grew up knowing because I know we’d still be friends today. You are someone I feel comfortable telling all my deep dark secrets to because I know you’ll keep them safe, without judgement or condemnation. You are very well versed in your many areas of expertise and are willing to share your knowledge without charge. You are patient and will keep explaining the same thing, different ways and in detail until I finally have my Ah HA moment. You are compassionate and understanding when dealing with someone’s pain, and are not above sharing your own past struggles. You are welcoming to all and exclude no one. I admire that. You are a truly one of a kind and an all around wonderful person. “Ellie and I have been working together for the past 8 months using EFT and the law of attraction, and I love how much change I see in myself due to the work we’ve been doing together. She has an amazing ability to help me reframe negative thought and behaviour patterns into beautiful new ideas and behaviours, using her extensive knowledge of the law of attraction, spiritual principles and EFT. I know and trust that she is capable of taking me out of my darkest moments and even making it fun and enjoyable in the process! We’ve shared tears and laughter, and it’s been easier than I thought it would be to take an honest look at myself. There is never any pressure to share the details of whatever I am going through, and I’m amazed at how successful the results of EFT are even when the specific problem isn’t talked about in detail. She helped me quit smoking, helps me with my relationships, with family dynamics…there basically isn’t anything that I don’t think she could help me with! I would highly recommend working with Ellie. If you’ve come this far and her website and these testimonials resonate with you, I’d say you’re here for a reason. I am so grateful I chose to call her and was pleasantly surprised to find such a beautiful, caring, compassionate, fun and cheerful practitioner.” M.L. Thanks again for all your help! It’s so nice to feel alive again! I was suffering from physical effects of stress and anxiety such as migraines, chest pain as well as lack of energy and general body aches. Ellie and EFT have changed my life. EFT is quick to learn and use, it works for emotional and physical problems instantly. Both at home and work I have become calmer, more focused and able to distance myself emotionally from insignificant problems or events that would have otherwise left me stressed and upset, the result of which is phenomenal as I suffer from substantially fewer headaches and chest pain. I also received a full nutritional assessment, Ellie made recommendations for a few supplements to support areas that I was lacking – within a couple of weeks I had a lot more get-up-and-go and my body aches were greatly reduced! Ellie is a very gifted practitioner who genuinely cares about her clients well being. She treats the whole person not just specific symptoms, this in itself causes Ellie to standout from any other wellness professional I have consulted. Carrie F.
I really appreciate everything, and thoroughly enjoyed the Reiki. I can’t believe that I have not had ANY pain (anywhere) since I left. I felt so relaxed and grounded on my drive home, then went for a long walk………and nothing hurt. I don’t know what you did, or how it works, but it is simply amazing. You are fantastic…….. Linda B.
I have been much better since our session. Occasionally, I get a tinge of pain in one hip only, but otherwise I am better. Linda B.